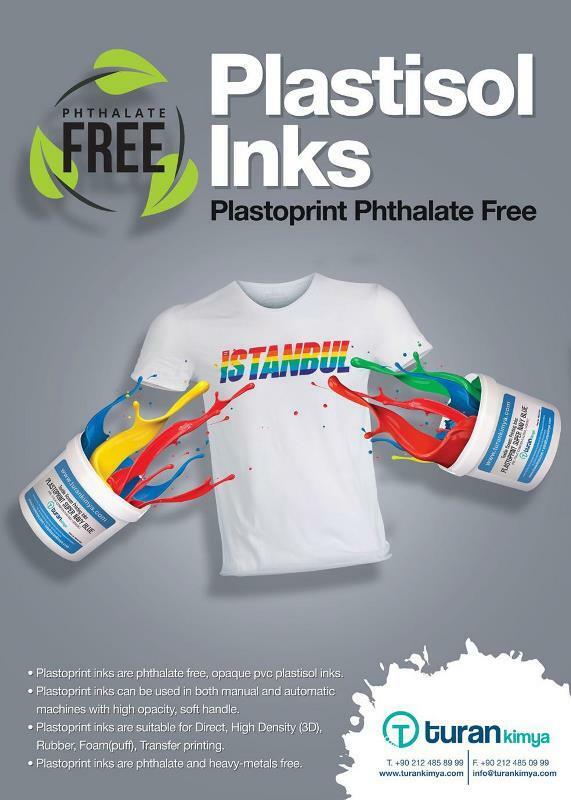 » Plastoprint phthalate free is opaque plastisol printing inks which contains PVC but free of phtalates. » Easy to get soft handle and opacity in both manual and automatic printing systems . » They give excellent results in High density(3D), rubber, foam(puff), transfer printing applications. » Plastisol inks in Plastoprint series do not contains phtalates or heavy metals.